﻿ Coral Strand Smart Choice Hotel Kepulauan Seychelles. JIMAT di Agoda.com! 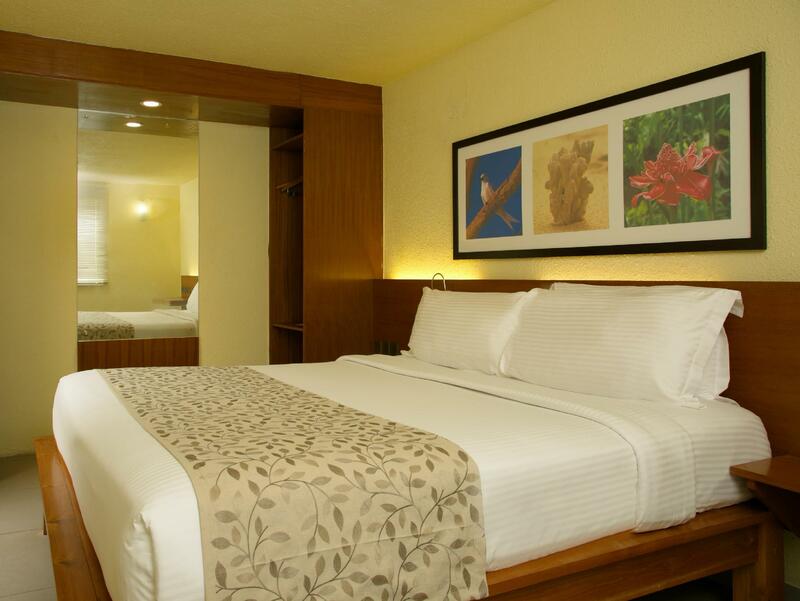 Ada soalan mengenai Coral Strand Smart Choice Hotel? Bagi para pelawat yang ingin menikmati sepenuhnya pengalaman di Kepulauan Seychelles, Coral Strand Smart Choice Hotel merupakan pilihan tepat. Keseronokan pusat bandar hanya sejauh 7.0 km sahaja. Penginapan ini berada di sekitar kawasan tarikan bandar yang popular seperti Kuil Arul Mihu Navasakthi Vinayagar, Dr Chetty's Medical Centre, Pasar Victoria. Di Coral Strand Smart Choice Hotel, perkhidmatan yang cemerlang dan kemudahan yang unggul menjadikan penginapan anda tidak dapat dilupakan. Untuk keselesaan dan kemudahan tetamu, hotel ini menawarkan Wi-Fi percuma semua bilik, pengawal keselamatan 24 jam, meja depan 24 jam, fasiliti tetamu kurang upaya, simpanan bagasi. Semua bilik tetamu menawarkan pelbagai jenis tahap keselesaan. Banyak bilik turut menyediakan televisyen skrin rata, rak baju, kopi segera percuma, teh percuma, bilik persalinan untuk memuaskan hati tetamu. Hotel ini menyediakan kemudahan rekreasi yang baik seperti pusat kecergasan, sauna, kolam renang terbuka, menyelam, spa untuk membuat penginapan anda benar-benar tidak dapat dilupakan. Coral Strand Smart Choice Hotel merupakan tempat yang ideal bagi penginapan pelancong yang mencari keindahan, keselesaan dan kemudahan di Kepulauan Seychelles. Tetamu yang menginap di Bilik Superior dan Bilik Superior dengan Pemandangan Laut selama sekurang-kurangnya 7 malam akan menerima satu botol wain dan sepiring buah-buahan percuma semasa tiba dan juga satu makan malam untuk 2 orang di mana-mana restoran. Tetamu yang menginap di Bilik Superior dan Bilik Superior dengan Pemandangan Laut selama sekurang-kurangnya 5 malam akan menerima satu botol wain dan sepiring buah-buahan percuma semasa tiba. We were upgraded to the hotel next door! Very very happy with the new hotel. I believe the upgrade happened because the US Navy booked many of the rooms in the hotel. Unfortunately I feel all the Navy persons drinking by the pool bar, was a bit of a disruption and could have ruined the stay for some people, as they paid a lot of money to stay there. The property located in beautiful urea calls Beau Vallons,it took the most beautiful beach!!!! !White sandy beach with clear turkoise water,have a lot of activities-parachute,jet ski ,etc. You can be able spend all day on the beach with going for lunch to beach bar-restaraunt. Next to this hotel there is restaraunt which I would recommend -fish restaraunt in hotel Savoy- y will get 10% discount because this 2 hotels I think belongs to same owner.,also 10% discounts for spa there.Staff is very friendly at property, we stay over weekend and one night they had event there-was very noisy and I complain,they apologize and next day we receive bottle of wine and fruits.My husband works for hospitality management and he says that management works very well there,because they are trying to make each client happy.I think is good reason to come back!!! Very nice hotel, very good location right at the best beach! Friendly, helpful staff, always smiling! We had onky breakfast but we ate several times at the beach bar and the food was good so as the view! We had a wonderful stay, I would recommend this hotel! I highly recommend the Coral Strand. Great location on lovely beach, good food, nice pool and beach with loungers. AND EXCELLENT GUEST RELATIONS TEAM!!! Cant say enough about the support we received when my husband got a bad infection and was ill with fever. Our 3 night stay turned into 6, with several visits to the 'emergency room' at the Victoria hospital. Aisha and Stella assisted us in dozens of ways, all with care and concern. Definitely recommend this choice! 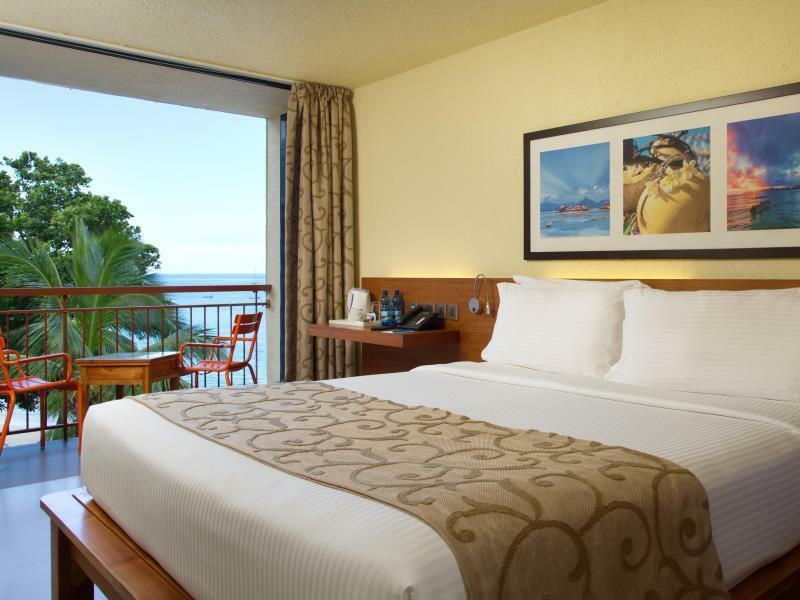 Choose an ocean view room-worth the extra $. The location of the hotel is what truly steals the show. Seated on the beach of Beau Vallon, this hotel has its own private beach access and the staff is exceedingly friendly and helpful. Apart from that, the hotel also organizes many activities and keeps its occupants engaged and makes every minute of their visit to this wonderful island nation worthwhile. I would definitely say that this hotel is the best amongst the lot in the Beau Vallon area. The staff were really friendly and helpful throughout the stay. Rooms were spotless with good facilities. The hotel itself has a nice pool and a paddling pool for kids and it is right on the beach, which is a lovely stretch of sand. Coral Strand is very well located, it has own access to the beach, which is cleaned daily, which is important in this area. The only downside is that there are constantly high waves. On the other hand, there is a children's slide on the territory of the hotel, which is convenient if you're traveling with kids. There is also a nice sushi place on the premises where you can grab some fresh tuna sashimi or rolls. Our accommodation included breakfast, which, IMHO was a bit poor.. Nonetheless, don't get me wrong, the hotel itself is nice and cozy, though a bit old and needs some renovation. Oh, almost forgot, you can feed and pat the three aldabra turtles that live in the hotel's garden. 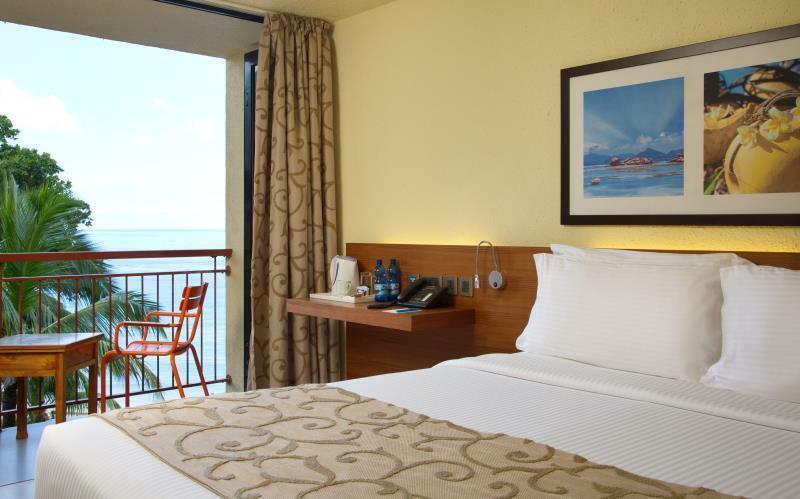 The hotel is located right on the beach and the sea facing rooms are amazing. The hotel staff is very helpful and cordial. 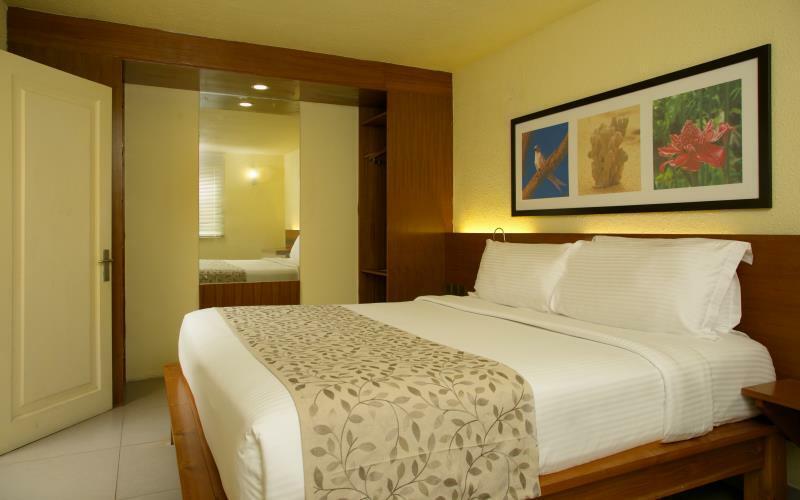 The hotel has couple of good restaurants and there are couple of eateries located just at a walking distance. Overall a great hotel to stay at the Beau Vallon beach. Booked a Superior room with ocean view and it was the best! the room is very spacious, with a couch and small bar. The view from our balcony was perfect. very relaxing stay. The hotel is situated infront of Beau Vallon beach, perfect for long walks and beach swimming. just walking distance to the Market- (every wednesday there’s a food fair, a must try! ) Highly recommend this hotel if you’re not looking into luxury accomodation and wants value for money hotel stay. Plus: + Hotel perfectly situated in centre of Beau Vallon beach. + Big rooms with living room area and bedroom room separated + Nice pool, beach towels, beach chair included. + Hotel has U shape which allows many rooms to have a balcony and a lovely view on the pool and sea. Cons: - No privacy at all on the balconies, you could quite easily walk on your neighbour balcony as only separated by small fence. And you can see what everyone else doing in all the other rooms if you don't draw the curtains. - Staff/service quality is extremely unequal depending who you talk to. Some didn't speak two words of English nor French. We waited for one hour at reception just to be told that our room was not ready (they could probably have seen that in one minute on their screen and let us free to do other things instead of waiting). They left our luggage unattended in the reception area instead of storing it in the luggage room as promised. Hotel location was simply mind blowing!! Beach is beautiful and best in Seychelles. The rooms were clean and tidy, staff was very polite and friendly. Nice restaurants around the hotel area One must try it out!! the property is awesome ,very fast wifi , quality of food is great , i loved the breakfast . room with sea facing . the most happening place is right near by . also some more private and quite beaches are very near by walking distance . i would recomend this hotel to every one who is travelling for the first time . Great location at Beau Vallon, room was nice even if we would have appreciate more space in the bathroom. Staff overall was good but service at the Ocean deck bar-restaurant wasn't really nice (long waiting time to order, staff not very friendly). We got this hotel with an Agoda offer (130 euros the double room with breakfast) and I think the price was ok for what was offered. Seychelles are very expansive therefore you find lower standards compared to Europe and Asia hotels at the same prices. The room was clean, the hotel offers a nice position in front of Beau Vallon beach, there is a bar/cafe right on the beach serving drinks and fruit at reasonable prices. Buffet breakfast was very good. Also, the buffet restaurant offers good solution for dinner (about 500 rs per dinner without wine). If you want to go out and dining, there are a lot of cheap take aways and shops just outside the hotel. Bus stop is located 3 mins walking distance, and there are two diving centers at about 2 min walking distance from the hotel. the best part of our stay at this hotel was the staff. Our housekeeper, the breakfast staff and the front desk were all friendly and helpful people. The hotel is spotlessly clean, but it is older. This means smaller rooms and finishes that are comfortable but not always luxurious. The rooms are small, but comfortable. The hotel is directly on the beach; relaxing, reading and swimming are super convenient. We had room with a connecting door to the next room. We could hear EVERYTHING that happened in the next room; this led to some awkward moments. If you are offered this room, even if it is offered as a n upgrade, as it was for us, consider asking for another. Good value for money for such good location where just few step to Beau Vallon beach plus breakfast. However the rooms are very small but cleanliness is fine. Staffs are all very helpful and speak good English. It was a good experience to stay in the hotel. Would like recommend it.